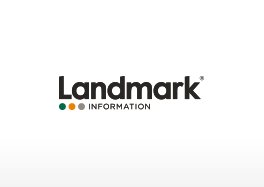 Landmark Solutions in association with BrambleHub has extended its long-term partnership with the Office for National Statistics. We have successfully concluded negotiations to extend our current Web Hosting Services contract through to 31st May 2016. We look forward to continuing the highest levels of service to ONS. Landmark Solutions and Natural England have co-authored an article on the MAGIC in the Cloud service (www.magic.gov.uk) to be published by the Royal Institute of Chartered Surveyors (RICS) Journal on the 15th May. Watch this space. Landmark Solutions wins consultancy and pilot service delivery contract with the Single Source Regulation Office. Landmark Solutions wins consultancy and pilot service delivery contract with the Single Source Regulation Office. SSRO, part of the MoD, has awarded Landmark a contract to build a pilot managed service that will assist SSRO in managing key statutory guidance information relating to the Single Source Contract Regulations and Part 2 of the Defence Reform Act 2014.